Today, it’s been 100 years since Dutch women gained the right to vote. A simple constitutional amendment, since the only word that had to be replaced was ‘men’. Yet, gaining this right was way less self-evident. For this reason, Eddy Habben Jansen, director of ProDemos, the foundation that exhibits the important document, asked himself why this part of history isn’t common knowledge or celebrated. However, it shows us the result of feminism in the political domain. Without doubting the importance of this political victory, I will use this blog to examine if there’s also another way to approach women in Dutch history, that might even come closer to the experience of pupils. 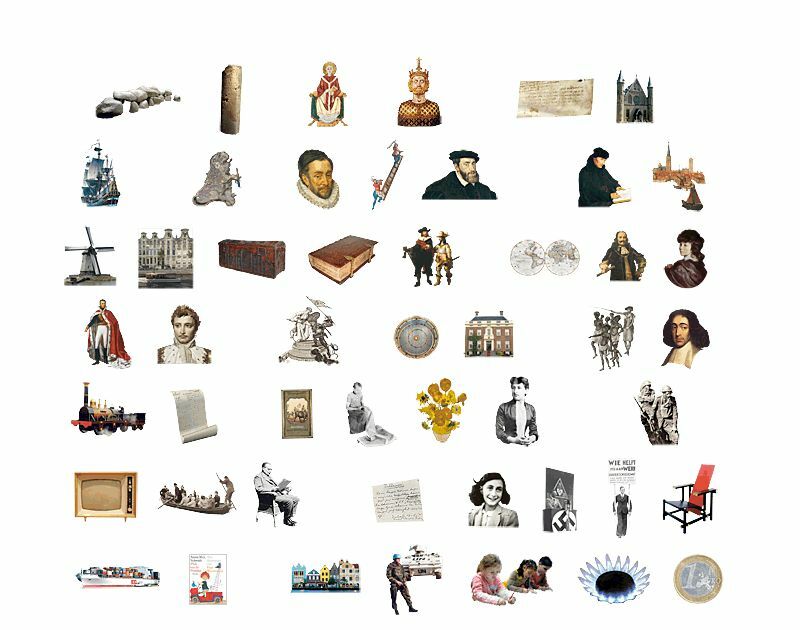 The history of politics, arts and ideas are chief domains in the Dutch canon, but also domains that have been dominated by men. Women described in the canon are usually associated with emancipation and equality, representing the result of the Enlightment. Only three out of fifteen historical figures in the Dutch canon are female, of which one represents emancipation. Even while we seem to be aware of this imbalance, it seems to be a difficult task to find relevant women to compensate the male-dominated story. Could this be because of our focus on equality and man-dominated domains? According to Geertje Mak in ‘Gender in and beyond the canon, or how to make women (in)visible in history’ unequal gender relations and sexuality have been important for the formation and maintenance of categories on which public identities have been based, but are almost invisible in our history. The history of everyday life, and therefore the important contribution of woman to society is underexposed. Therefore, Mak suggests deconstructing the opposition between public and politic, and social-economic and private domains in history education. Using basic human activities as entries to history offers a new perspective that does justice to the complexities of gender, class and ethnic relations. Moreover, it stimulates historical awareness that is not confined to tradition, nostalgia or progress, but historical difference and transformation. Not only academic historians like Mak are firmly committed to this subject. As a bottom-up reaction to the focus on man-dominated history domains, several feminist groups and public historians gather to create an audience for the history of woman in everyday life. For example, 1001 vrouwen, founded by historian Els Kloek, provides the opportunity to ‘adopt a woman’ via social media. By crowdfunding Kloek e.o. do research into (invisible) woman who had a great impact on history by their activities in daily live. In this way, the public decides which women they want to be remembered. This method also increases the engagement between the public and their history. Social media show us the interest of a wide audience. Have a look at these historical figures, embedded in our multimedia society. Aafke Gesina van Hulst, a pioneer in home care. Or Hanny Michaelis, poetess who wrote a war diary. The idea is also present in museums like Museum Rotterdam, and their exhibition about women of Rotterdam. Mak’s idea seems to be a logical solution to a more accurate representation of gender, sexuality and ethnicity in the canon. But does a central perspective on the history of everyday live increases historical awareness? On the one hand, Hans-Jürgen Pandel described seven components of historical awareness, including political and social-economical awareness. Therefore, it can be doubted if Mak’s suggestion really creates more historical awareness. On the other hand, Pandel’s definition of historical awareness dates from 1987 and Maria Grever and Carla van Boxtel recently applied this term to heritage education in their book Tastbaar verleden. They underlined the importance of multiperspective and a dynamic approach to heritage. Since Mak also emphasizes transformation instead of tradition or progress, and multiple perspectives instead of communal identities, some important components of historical awareness would be stimulated. But is it feasible? I think it is. Contemporary educational methods are increasingly focused on 21st century skills and development of personal talent and interests. Therefore, engagement to historical topics becomes more important to stimulate historical awareness. As an author of the history topics of a new teaching method, I’ve experienced the focus on a new kind of history education. Although the topics are partly based on the canon, they also tell stories about everyday live that respond to the curiosity of children and the way they experience the world. The focus of museums also seems to swift to the experience and historical sensation, mostly based on recognition and empathy. Again, everyday live seems to become more important to improve engagement with the past. Shifting the focus to everyday history, and the influence of unequal gender relations and sexuality, in de Dutch canon, might not be such a big step as it seems. bestblog on Projecting your own expressionist art?